Welcome to the majestic state of Rajasthan, an incredible destination famous for Maharajas and their luxurious palaces. This state has a great association with the glorious past of our country. The first thought that comes to your mind when you think about Rajasthan is its magnificent palaces and eye-catching forts. These monumental heritages in this destination are elegant, ecstatic and beautiful that fascinates travelers from across the globe. There have been nearly 163 monuments of National Importance in Rajasthan recognized by ASI. 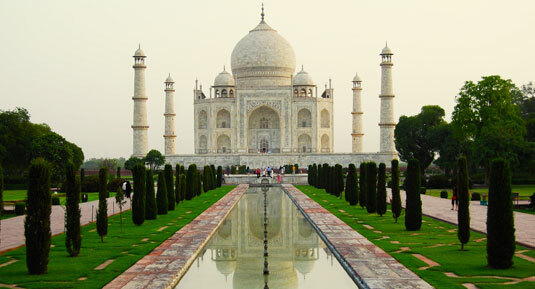 It may be difficult for the travelers to select a few monuments from the list worth seeing. So, we create a list of the most beautiful and must-visit historical places in the state. Explore these architectural marvels to learn about the wealthy culture, rich history and amazing traditions of Rajasthan. Plan your Rajasthan tour through Colourful Indian Holidays and watch a plethora of world-class monuments. 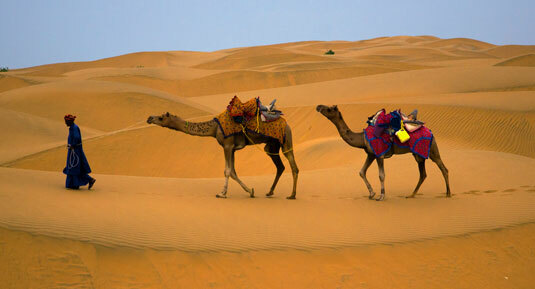 The majestic state of Rajasthan is known as the land of Kings. Dotted with plenty of architectural marvels that gives not only an idea about the lifestyle of the rulers of the bygone era but also portray the artistic designs of the past. Most of the palaces and forts in this state create many stories of its glorious past that are worth your time. Rajasthan, the most colorful state in India welcomes travelers with this stunning architecture along with its wealthy culture. With the uniqueness of its own, each fort and palace in this destination narrate a story about its kingdom, its kings, and a vibrant culture. Most of these palaces in Rajasthan have been turned into heritage hotels with eye-catching exteriors and modern interiors that are breathtakingly fascinating. Still many of them maintain its old glory and amazing decor. Visitors can observe the history of this state in the form of its amazing heritage monuments while traveling through the state. 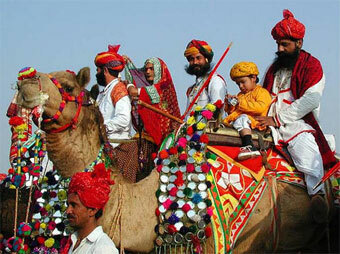 Many travelers from across the world visit Rajasthan to explore its colorful culture and rich history. Formerly known as Rajputana, each of them can observe the history of this state while watching its numerous alluring heritage monuments. 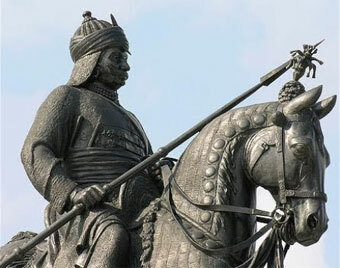 All of these monuments also illustrate the stories of the heroism and bravery of the renowned Rajput clan. You can get an idea about the brilliance and richness of the former dynasties by exploring the forts and palaces of the state. 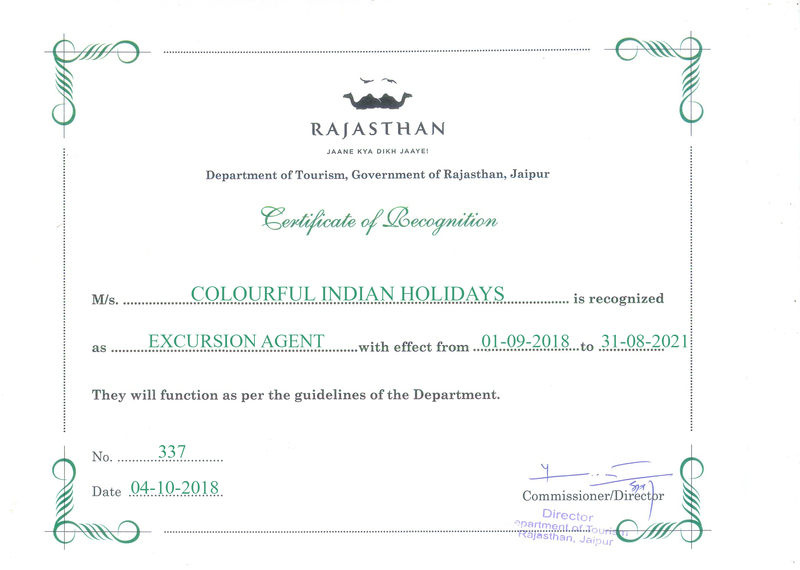 Each traveler to Rajasthan can experience its glorious history conveniently and without any hassles with Colourful Indian Holidays. We provide complete information on the celebrated history and vibrant culture of this state. Rajasthan was a part of the Mauryan Empire and a part of different republics before the emergence of Rajput clans. Rajput clans emerged and ruled over different regions of the state from 700 to 1200 AD. 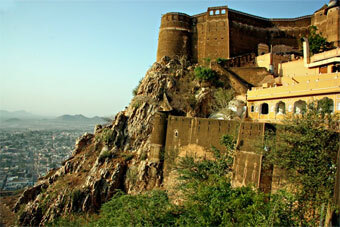 Mewar was one of the most potent and renowned regions in Rajasthan at the beginning of the 13th century. Mughal rulers started to administer the area from 1201 AD to 1707 and they dominated several main places in the state such as Ajmer, Ranthambhore, and Nagaur. The modern period in this state started from 1707 to 1947 after the decline of the Mughal power. After their decline, Marathas started to emerge in this region as a new power but gradually Rajasthan became under the rule of British. This royal state came into existence post-independence on 1st November 1956. One of the great attractions of Rajasthan is the uniqueness of its culture. It is a destination rich with beautiful music and dance. In fact, each area of this state has its own dialect of these art forms. Some of the dance forms like the Kalbeliya of Jaisalmer and the Ghoomar from Udaipur have recognized internationally. Folk music is a significant part of the culture of this state. The singers narrate the legendary battles of the brave Rajputs through their folk songs. They use some musical instruments like sitar, sarangi, and dholak to accompany their music. Although Hinduism is the main religion of Rajasthan, you can find other religious groups in this state such as Muslims and Jains. Colorful traditional arts are another attraction of this state. Many art forms like Zari embroidery, Bagaru prints, Block Prints, tie and dye prints and Sanganer prints export from Rajasthan to different parts of the world. Each traveler to this state also appreciates its handicrafts, marvelous wooden furniture, blue potteries and captivating carpets. Many travelers to Rajasthan find this place as a shopper’s paradise. Just like its alluring forts and palaces, Rajasthan is also famous for huge decorated havelis, intricately carved temples, and many other architectural marvels. Lively festivals and vibrant fairs play an important role in this state for attracting tourists. Festivals celebrate in this state with great joy and enthusiasm. It shall be exciting to watch horses, elephants, and camels bedecked in colorful dresses to enhance the charm of these festivals. 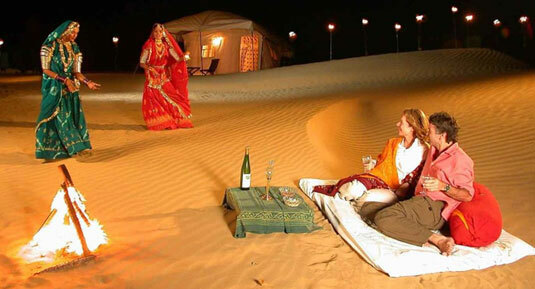 Holidays can be relaxing and fun especially if you plan a trip to the royal state of Rajasthan. This awe-inspiring state is always charming, its cities are tourist friendly full of monuments, the hills are picturesque and lakes are scenic. 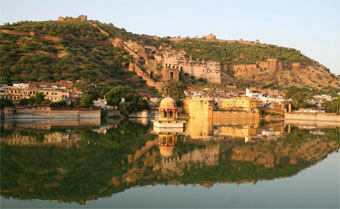 Enjoy the best vacation in Rajasthan by exploring its magnificent forts and palaces. Here is the list of 25 must-see monuments in Rajasthan. Amer Fort is one of the most beautiful monuments in Rajasthan located almost 11 kilometers away from Jaipur City on a scenic hill. 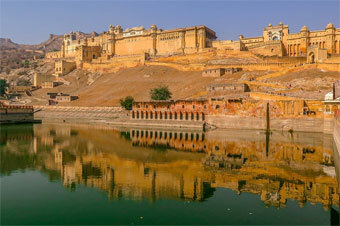 Also known as Amber Fort, this major tourist attraction in Jaipur is built by Raja Man Singh. It is a panoramic marvel nestled next to the astonishing Maota Lake. The majestic charm and its geographical features make it an alluring tourist place to visit. The right blend of Hindu and Muslim architectural style is another fascinating feature of Amer Fort. The beautiful palace complex of it was once used as the main residence of the Rajput Maharajas for many centuries. The fort is a blend of Mughal and Rajput architectural style. Ganesh Pol inside the Amer fort is the best example for this style of architecture. Embellished with mosaics, even the gate of the Amer Fort is grand and eye-catching. 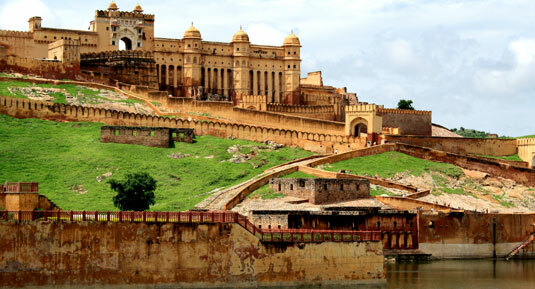 The Amer Fort is a colossal fort which is a fine example for the medieval Rajput style of architecture. The combination of white marble and red sandstone makes it an alluring architectural splendor in Rajasthan. The gorgeous Maotha Lake in front of the fort enhances its beauty. Although it has a craggy and tough exterior, the interiors of the fort fascinate travelers with charming and intricate carvings. You can enjoy picturesque views of the regal city of Jaipur from the top of this fort. Tourists can easily reach this grand monument as it is only an hour away from the city center of Jaipur. The beautiful palaces and forts in Rajasthan are large in number and all of them have exquisite architecture. The stunning architecture makes them must-visit monuments of today. Hawa Mahal is one such great monument in the state with mind-blowing architecture located in the marvelous city of Jaipur. 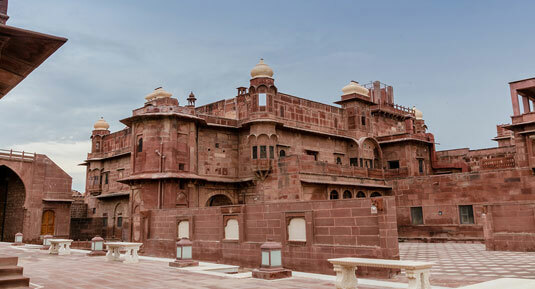 Constructed with the pink and red sandstone, this awe-inspiring structure is a combination of the Rajasthani and Mughal architectural styles. Designed by Lal Chand Ustad, the elegant Hawa Mahal was constructed by Rajput Sawai Pratap Singh in 1799. The designer of this beautiful architecture dedicated his work to Lord Krishna and Radha. 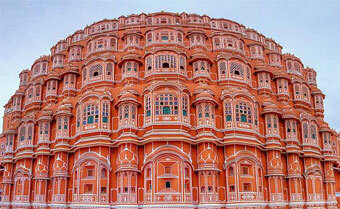 Hawa Mahal, also known as the ‘palace of Winds’ is a grand landmark of the royal city of Jaipur. It is a 5-storeyed building with 953 jharokhas or windows on its outside walls. These honeycomb-shaped lattice windows angled to face the main street of the city. The strictly traditional Rajputs did not like their womenfolk to have appeared in public. At the same time, those royal women themselves were also strict about their self-respect and dignity. They also do not prefer to come out and open with the common people and strangers. Royal women could watch the religious ceremonies and royal processions that pass through the street by standing behind those lattice windows. This five-storied architectural splendor is among the most alluring piece of work by the rulers of Rajasthan. People from across the globe visit this magnificent monument in order to see its exquisite structure and artistic carvings. 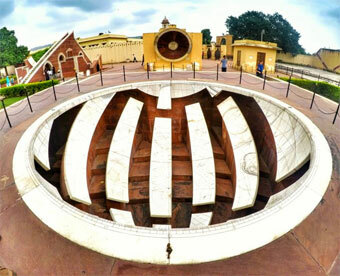 Jantar Mantar is a historically significant astronomical observatory located at the heart of the Jaipur City. Maharaja Sawai Jai Singh II constructed this observatory in order to measure the positions and distances of celestial objects. It is an important place also for Indian astronomers as it has great religious significance. There are 19 large instruments in this tourist destination and each of them serves a very specific purpose. Samrat Yantra is the most significant instrument in them which is the largest sundial in India. It shall be amazing to visit this observatory to explore its architectural astronomical instruments. The astronomical instruments in this tourist spot are an amazing creation which used to trace the path of various celestial bodies. Most of them are made up of stones and marbles. People who enter this observatory can find a large number of geometric devices to trace stars in their orbits, find out the declinations of planets, measuring time and ascertain the celestial altitudes. Jantar Mantar is another wonderful architectural marvel in Jaipur which was declared as a national monument in 1948. It has become of the major tourist spots in Rajasthan over the years. Many travelers from across the globe reach this destination every day to see this captivating astronomical observatory. Abhaneri is a spectacular historical monument in Rajasthan located in a charming village in the Dausa district. The original name of it was Abha Nagri which means the city of brightness and people probably mispronounced it as Abhaneri. This destination is famous for the alluring Chand Baori and the Harshat Mata Temple. Chand Baori is a stepwell made to harvest rainwater. 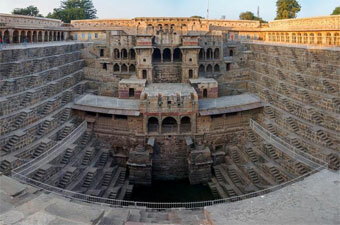 This biggest step well in the country is the major attraction of Abhaneri. Consists of around 5500 steps in 13 levels, this stepwell has 20-meters deep. Nestled right opposite to the well known Harshat Mata temple, this step well fascinates travelers with its intricate carvings. Being a unique example for ancient engineering, Chand Baori is a famous picnic spot for many history buffs and tourists. The geometric step pattern for this structure gives a fascinating experience for them. 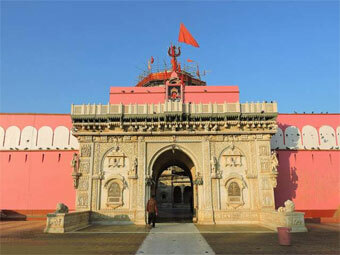 People who visit Abhaneri also prefer to visit the sacred Harshat Mata Temple. Built in the 10th century, this temple is dedicated to the Goddess of Joy, Harshat Mata. Abhaneri is also famous for some local dance forms such as Ghoomer and Kalbelia. It is also served as a location in the popular movie, ‘The Dark Knights Rises’. Abhaneri is certainly a place not to be missed in Rajasthan because the historically and architecturally impressive structure of Chand Baori is a visual treat for visitors. A fine example for Mughal and Rajasthani architecture, the City Palace in Jaipur is yet another important monument to see in this regal state. Built by Maharaja Sawai Jai Singh II, the City Palace is a large complex spread over a large area with a sequence of buildings, courtyards and gardens. There are temples and a museum inside the palace complex gives it a wonderful view that reflects the royal grace and historical importance of this architectural splendor. The City Palace was also served as a residence for the rulers of Jaipur. 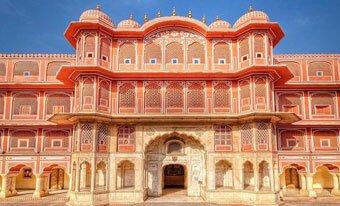 The City Palace is a must-visit tourist spot in Rajasthan as it is a visual delight for visitors. You can watch many things inside this palace complex such as palaces, forts, courtyards etc. Some of the popular places to see inside this palace include the Diwan-I-Khas, the Baggi Khana and the weaponry display at the alluring Maharani Palace. The museum inside the City Palace houses a marvelous collection of Rajasthani royal dresses, an armory of Rajput and Mughal weapons including swords of different shapes and sizes. Visit the City Palace in order to get an insight into the bygone era. Located in the heart of the old city wall of Jaipur, travelers can easily reach this tourist spot by hiring a cab or even a rickshaw. You can visit this monument any time between October and March when the atmosphere is relatively cooler. Mehrangarh Fort is one of the most beautiful monuments in Rajasthan. 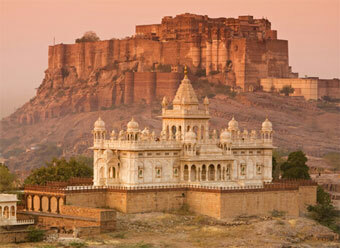 Plan to visit the Mehrangarh Fort if you want to enjoy the magnificent view of the royal city of Jodhpur. Known for its stunning architecture, this charming fort is among the most captivating forts in the state. It is located in the regal city of Jodhpur at an altitude of around 400 meters above the city skylines on a rocky cliff. One can watch this fort from almost every vantage point of this city. This majestic fort holds an important place in Jodhpur not only for its exquisite architecture but also for the diverse history associated with it. This fort spread over an area of around 5 kilometers was built by Rao Jodha in the year 1459. There are seven gates to enter in the Mehrangarh Fort and each of them constructed by different rulers at different times. They built these gates in honor of the victory over Jaipur and Bikaner armies. Visitors can see several magnificent palaces inside the fort such as the Moti Mahal, Sheesh Mahal, Takht Vilas, Jhanki Mahal, and the Zenana Dude. Two temples can also be seen inside this fort; Chamundi Devi Mandir dedicated to Goddess Durga and Nagnechiaji Mandir dedicated to the Kuldevi. A museum is another attraction of this fort which displays a large collection of musical instruments, royal costumes, paintings, furniture, and palanquins. Umaid Bhawan Palace in Jodhpur is another must-visit architectural marvel in Rajasthan which nestled in the middle of a lush area of 26 acres. Built by Maharaja Umaid Singh of Rathore Dynasty, this eye-catching royal palace is only 4 kilometers away from the Jodhpur Airport. Once you visit this marvelous palace, you will realize that it is an enchanting crown of the desert city of Jodhpur. 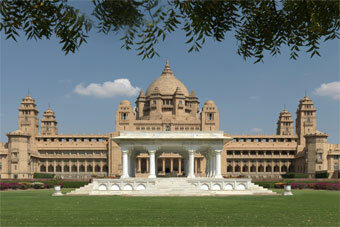 Umaid Bhavan is one of the largest private residences in the world. The outer structure of the palace was built by using the Chittar Stone while the interiors are made attractive mainly with Indo-Saracenic architecture. You can see Western Art Deco and Classical Revival architectural style in its interiors. This royal residence has a Durbar Hall, a large private meeting hall, a vaulted banquet hall, an elegant throne chamber and a ballroom in addition to 347 rooms, private dining halls, and long passages. It has a spa and an indoor swimming pool, a library, a billiards room, two marble squash courts and four tennis courts for entertainment. Around 15 acres of beautifully maintained lush gardens are another attraction of this royal residence. A part of this palace now owns by the Taj Hotel Group with 25 rooms and 39 suites. An accommodation in this hotel shall be a wonderful way to experience the glories of the bygone regal era. You can also see a museum inside the Umaid Bhavan Palace with some fantastic specimens. Even though it is the last royal palace built in the country before independence, today it becomes the new icon of the desert city of Jodhpur. 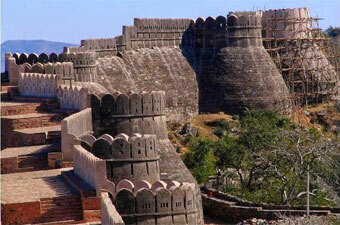 Visit the Chittorgarh Fort if you are interested to learn the history of Rajasthan. This magnificent 7th-century fort is among the oldest forts in the state. Many historical stories of courage and sacrifice associated with this fort. It is the land of many legendary Rajasthani heroines such as the Rani Padmini, Karnavati and Meera Bai. You can hear so many romantic tales by visiting this majestic UNESCO World Heritage Site. There is a lot to explore in the Chittorgarh Fort such as the Rani Padmini’s Palace, Badal Mahal, Ratan Singh’s Palace and Kanwar Pade Ka Mahal. Many cenotaphs also stand in this place as memorials like the Kirti Stambha and the Vijat Stambha. The fort has seven gates which also attract travelers as many histories associated with it. Travelers also prefer to visit the beautiful temples inside the fort. The Chittorgarh Fort is an impressive monument in Rajasthan with historical importance. This alluring fort is the silent observer of many dramatic and heartbreaking events. With amazing palace complexes, sacred temples and alluring gates, the impressive Chittorgarh Fort does not stop to amaze its visitors. It is the largest fort in India perched on a 590-feet tall hill and on the banks of gorgeous River Berach made attractive with towers and walls. 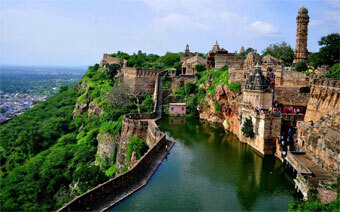 The major attraction of Chittorgarh Fort is the Padmavati’s palace, a 3-storyed white structure. Breathtaking scenery is certainly a highlight of this fort. Located in the southern region of Rajasthan, one can reach this fort within a 2 hours journey from Udaipur. Get a glimpse of the rich cultural and tribal life of Rajasthan by visiting the Vishnoi Village. Travelers plan for Vishnoi Village safari during their trip to Jodhpur for experiencing wonderful tribal India. Spotted with deer and Khejri trees, this breathtaking destination blesses with excellent scenic beauty. It is an ideal picnic spot for those who are interested in nature and exotic wildlife. Guda Bishnoi Lake is another attraction of this tourist destination which is a natural lake. The Bishnoi community who lives in this village is keen to conserve the environment. They are highly devoted to protecting the flora and fauna including the endangered species like blackbucks that surround them. The best way to explore this village is to hire an open-air jeep. You will get a close to peeking into the exciting tribal life of this area through this jeep safari. Travelers to Jodhpur include the Vishnoi village in their travel itinerary in order to enjoy an authentic Rajasthani village experience. People who are interested in the village safari can opt for the morning, afternoon or full-day tour based on their convenience. The safari takes you to explore the exotic flora and fauna of the region. It may also give you the chance to witness different crafts such as carpet making, pottery, and spinning by the locals. You can also buy some authentic artwork to take home as souvenirs. Vishnoi Village is also famous for the folk dance form, Kalbeliya and people who visit this region do not forget to watch it performed by gypsy tribes. Vishnoi Village safari also gives you the opportunity to taste traditional cuisine along with opium tea. This place near Jodhpur is the perfect destination to experience the rich culture, customs, and traditions of tribal life in Rajasthan. Beautiful sandstone havelis are a great attraction of Rajasthan especially for those in Jaisalmer. 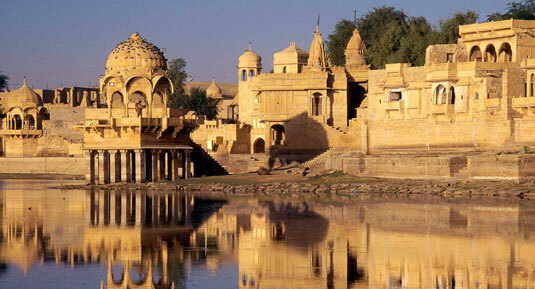 Jaisalmer is a superb tourist destination in the state with a wealth of culture and heritage. Travelers can explore many historical monuments and natural attractions in this destination. Havelis are one such great attraction in this city built by the wealthy merchants. There are several magnificent havelis in Jaisalmer that fascinate travelers with its exquisite architecture and intricate carvings. The havelis in Jaisalmer feature Rajputana and Islamic architectural styles and most of them made up of yellow sandstone. Beautiful windows and amazingly carved facades are other attractions of these havelis. Travelers can find unmatched architectural charm in these monuments. These splendid structures speak of the innovation and creativity of the craftsmen of the bygone era. Some of the most popular havelis in Jaisalmer are Patwon Ki Haveli and Nathmal Ki Haveli. Patwon ki Haveli is one of the largest and most beautiful havelis not only in Jaisalmer but in Rajasthan. Also known as Salim Singh ki Haveli, this stunning architecture was built almost 300 years ago. The haveli is named after Salim Singh who was the prime minister of this royal state. Beautifully arched roof with charmingly carved brackets in the form of peacocks is the prime attraction of this haveli. This exquisitely carved haveli has divided into six apartments and has nearly 5-story height. You can watch gorgeous mural paintings on the walls of one of its apartments. The Jaisalmer Fort is one of the largest forts in the world and a UNESCO World Heritage Site. 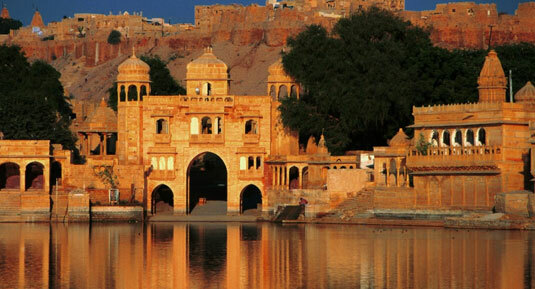 This stunning landmark of the regal city of Jaisalmer was built in 1156. This proud chattel belongs to the Bhati clan has nearly 250 feet height and is protected by 30-feet long walls. 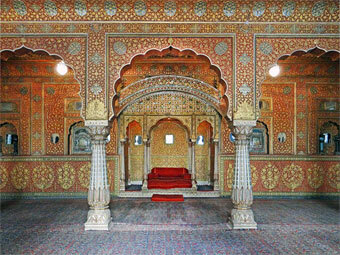 Elegant architecture is certainly a highlight of this fort which is the fusion of Rajput and Islamic styles. Another feature of this structure is that it is among the few living monuments in the world. 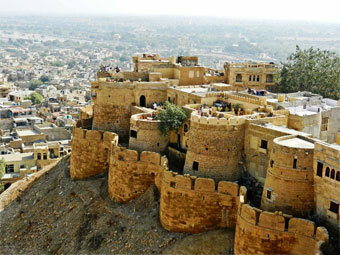 Travelers can find many attractions in the Jaisalmer Fort such as the Raj Mahal, Laxminath temple and a few Jain temples. Besides, this fort houses residential accommodations, hotels, restaurants, shops and even a museum. This fully preserved fort was built by Rawal Jaisal and this region was a part of the Silk Route before the arrival of British. 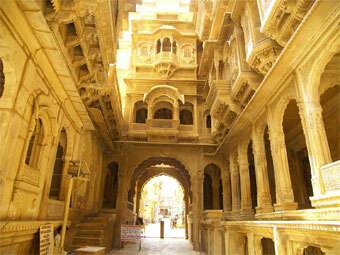 Jaisalmer was a significant stop-point for merchants and travelers for a long time. This monument is also known as the Golden Fort because of the yellow color sandstone that shines like gold in the morning and evening. Travelers to this magnificent fort do not forget to enjoy the spectacular view of the sunset which shall be a treat to their eyes. 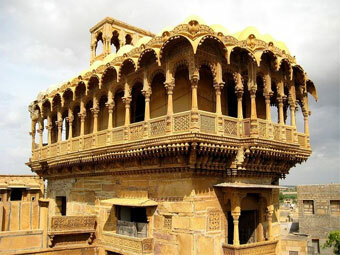 Jaisalmer fort has the appearance of a palace in the fairy tales and an icon of the city of Jaisalmer. Visiting the haunted village of Kuldhara shall be a wonderful experience for each traveler. It is certainly a must-visit destination in Rajasthan for several reasons. The narrow deserted streets of this ancient village are a source of ghost stories and paranormal activities. 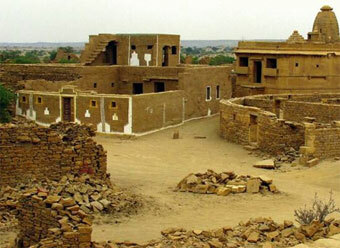 Located almost 17 kilometers away from Jaisalmer, Kuldhara was once a prosperous region. It was home to more than 1500 Paliwal Brahmins but the entire population vanished in the dark of a night. People believe that they left the area with a curse that still haunts this village. According to rumors, an evil prime minister named Salim Singh set his eyes on a Paliwal Brahmin girl and decided to marry her. Her parents left the village with the girl and the entire community to save her from the rude prime minister. Visit this part of Rajasthan if you would like to experience the spooky and dark side of Kuldhara village. Some parts of Rajasthan are often considered as areas of undiscovered mysteries. Many travelers from across the world have been fascinated by these stories and made their journey to these haunted places to experience the mystical energy. Some people believe that it is impossible to spend an entire in the deserted Kuldhara Village. Visitors can feel a horrific evil aura in this place whether it is a haunted place or not. So, make your trip to Rajasthan a unique travel experience by including Kuldhara in your travel itinerary. Rajasthan is known not just for exquisite palaces and forts but also for grand and elegant havelis. The beautifully crafted havelis with intricate artwork are certainly a prime attraction of this royal Indian state. The havelis with stunning architecture in the Shekhawati region are worth to visit during your holidays in Rajasthan. Located nearly 110 kilometers away from the capital city of Jaipur, these havelis were residences of Rajput rulers. This destination is also known as the ‘Open Art Gallery of Rajasthan’ because of the abundance of havelis, forts and historical monuments in this area. 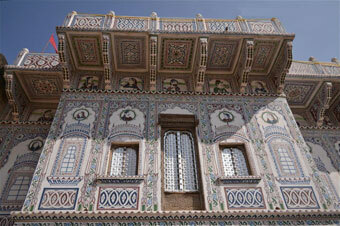 The beautifully-designed large painted havelis make Shekhawati stand out from other areas of Rajasthan. These havelis adorns with intricate and elaborate frescos which came to be a symbol of opulence. You can find a broad range of themes in the frescos of the havelis in the Shekhawati area. Some of the motifs on the havelis were influenced by the Rajput royal court while some others took inspiration from the Mughal art forms. The havelis in this region were designed and adorned by the people belong to the Kumhar (potter) community. These large structures were believed to be built by the wealthy merchants of the Marwari community nearly 100-150 years ago. It is interesting to know that a large portion of the business families in India hail from this region. Most of the Marwari business families have still rooted in the Shekhawati region. 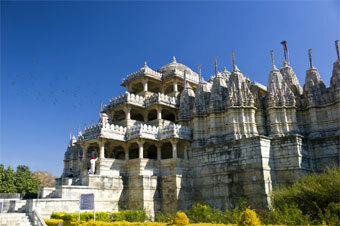 Ranakpur Jain Temple is one of the most beautiful Jain temples in India with exquisite architecture. It was built by Dharna Sah, a wealthy Jain businessman with the support of the ruler of Udaipur, Rana Kumbha in the 15th century. This charming temple named after the ruler draws travelers with its timeless beauty. Dedicated to Lord Adinath, this stunning structure carved in marble is renowned for amazing architectural style. The grandeur of the white marble architecture can be seen in this temple. This three-storied marble marvel is equally charming from outside and inside. The cool interiors are another captivating feature of this temple. It built like a heavenly vehicle or the Nalinigulm Vimana. Each visitor to the temple admires its unique construction. Ranakpur Jain Temple has four doorways and visitors reach the main courtyard whichever maybe the doorway they use to enter the temple. There are 29 halls within the Ranakpur Jain Temple with 80 domes. Another striking feature of this temple is that it takes different shades during different parts of the day. Visit this marvelous Jain temple situated in the Ranakpur village of the Palis district for a memorable travel experience. Kumbalgarh Fort is amongst the most famous monuments in Rajasthan famous for its breathtaking architecture and rich history. Kumbhalgarh is a small town in the Rajsamand located almost 64 kilometers away from the royal city of Udaipur. This destination is famous throughout the world as the birthplace of Maharana Pratap, the legendary king of Mewar. It is a hill fort in Rajasthan built on the foothills of Aravalli Ranges. The most attractive feature of this fort is that it is surrounded by 13 hill peaks of this mountain range. A grand thick wall of about 15 kilometers long surrounds this fort. It is considered the second longest wall in the world after the renowned ‘Great Wall of China’ that runs through the surrounding mountain cliffs. This wall can be the outstanding architecture excellence of the Rajput era. Believed to be built more than 700 years ago, this grand wall is still intact and in a good form. Another highlight of Kumbhalgarh Fort is that it is nestled in the middle of a lush forest which has been now converted into a wildlife sanctuary, the Kumbhalgarh National Park. This wildlife sanctuary is home to wide varieties of flora and fauna including several endangered wildlife species. Visitors can spot wildlife like leopards, panthers, toddy cats, Neelgai, Sambhars, hyena, wolf, beer, wild boars, crocodiles and peacocks in this sanctuary. Your trip to Rajasthan is incomplete without visiting the grand Kumbalgarh Fort. 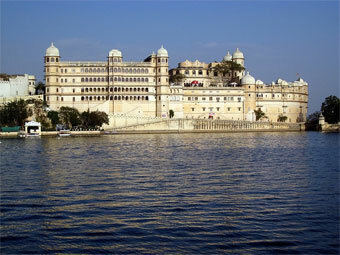 The City Palace, Udaipur is another must-visit monument in Rajasthan which is built on the lovely banks of Lake Pichola. It is among the largest royal palace complex in the state which is a fine example of the grandeur that enjoyed by the Mewar rulers in the bygone era. This magnificent palace, a fusion of the Rajasthani, Mughal, Chinese and European architectural styles, still has the same classic and majestic appearance. 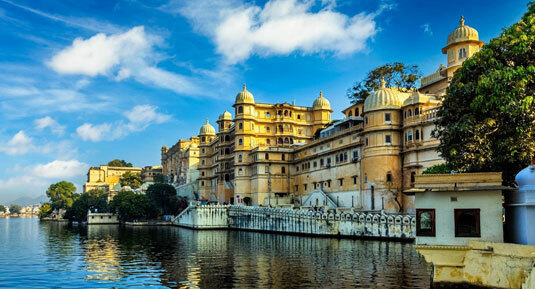 Surrounded by the Aravalli Mountain Ranges, the Udaipur palace complex houses several astonishing structures like the Lake Palace, Jag Mandir, Jagdish Temple, Monsoon Palace, and Neemach Mata Temple. The City Palace in Udaipur was built mainly with marble and granite. The interiors of this exquisite royal palace made attractive with silver-work, mirror-work, inlay-work and mural, and wall paintings. Some parts of this palace complex have been transformed into a luxury hotel and travelers can book their accommodation in them in order to experience the opulence of the regal era. Travelers love to visit the art gallery inside the palace complex known as Chini Chitrashala where they can watch arts and Dutch and Chinese tiles. They can also visit the City Palace Museum displays many interesting things that reveal the rich history and culture of the Mewar dynasty. Visiting a rare religious place shall be a refreshing and mind-blowing travel experience and you can enjoy that feeling by visiting the Brahma Temple in Pushkar. There are very few temples in the world dedicated to Lord Brahma, the lord of creation. It is one of the most popular temples in Pushkar dedicated to Lord Brahma and many people from different parts of the globe visit this shrine to enjoy its beauty. This marble temple built on a raised platform has the Southern architectural style. Pillared canopies adorn the entrance of the Brahma Temple. The idol of Lord Brahma seated at the center of the Garbhagriha (sanctum sanctorum) in a cross-legged position. The interiors of this temple have some sub-deities such as Lord Vishnu, Garuda and the Dvarapalas. From October to November is the best time to visit this temple. 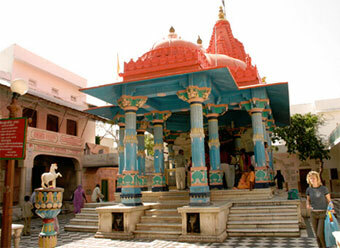 This marvelous temple in Pushkar is almost 14 kilometers away from the city of Ajmer. The Junagarh Fort in Bikaner is another architectural marvel in Rajasthan stands as the testimony for the grand Rajputana architecture. Until the 20th century, this magnificent fort was known in the name of Chintamani Mahal. 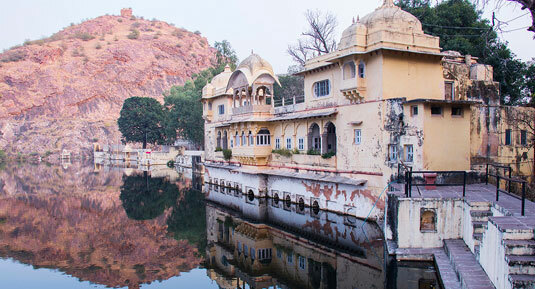 There are many palaces, forts and temples in Rajasthan to make it one of the best tourist destinations in India. The elegant Junagarh Fort is one among them which was built by Raja Rai Singh in 1588 AD. Unlike other forts in the state which were built on a hilltop, this fort located in the heart of the Bikaner City. It holds historical significance because this fort could not be conquered even after several attempts by invaders. Even after several attacks, Junagarh Fort still remains intact and attractive. A part of the Junagarh Fort has been converted into a museum that houses many ancient artifacts. 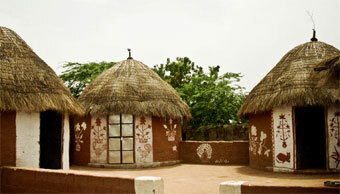 People who visit the fort prefer to visit the museum to take a look at its displays. It houses several great paintings and historic items. You can also watch a large collection of weapons from the medieval period by visiting the armory section of the fort. Travelers to the Junagarh Fort also love the idea of taking photographs in colorful Rajasthani costumes outside the museum. The Dilwara Jain Temples in Mount Abu is a charming heritage site worth visiting during your Rajasthan Holidays. It is nearly 2 ½ kilometers away from the beautiful hill station of Mt. Abu. This temple complex consists of 5 temples- Shri Mahaveer Swami Temple, Shri Adi Nath Temple, Shri Parshav Nath Temple, Shri Rishabdaoji Temple, and Shri Nemi Nath Ji Temple. These stunning temples made up of marbles dedicate to Tirthamkars or Jain saints. 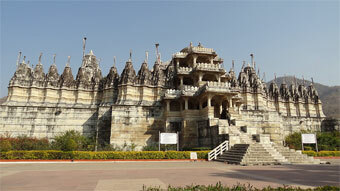 It is a favorite spot not only for Jain pilgrims also for tourists who love beautiful architecture. 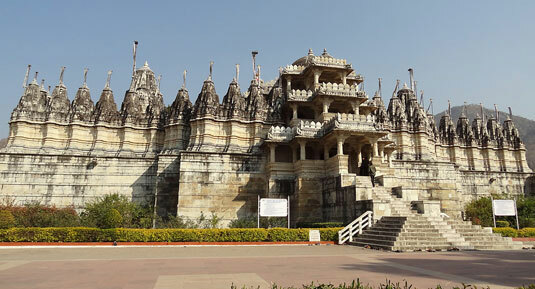 The construction of Dilwara Jain Temples dates back to 11th and 13th centuries AD. One of the interesting facts about these temples is that all the five temples in this complex were built during different times by different people. You can see age-old pictures on the ceiling of the Shri Mahaveer Swami Temple that represent the Jain mythology and ancient art. There is a dining hall near the temple for the devotees. The Dilwara Jain Temples are a fine example for the art and architecture styles that are dominant in the 11th to 13th century A.D. It holds a lot of importance for the devotees from the Jain community. The Kirti Stambh is an important monument to see in the incredible state of Rajasthan. 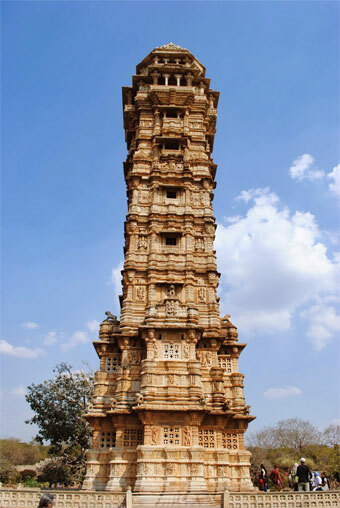 Also known as the Tower of Fame, this ancient structure was built by Rana Kumbha in the premises of the renowned Chittorgarh Fort to memorize the victory of them over the Khilji Dynasty. This alluring tower followed the Solanki architectural style has a height of around 22 meters from the base. It is the oldest tower in this fort premises. There are so many majestic attractions inside the Chittorgarh Fort adjacent to the Kirti Stamb such as the Rani Padmini’s Palace, the Vijay Stambh etc. Being a part of the Great India Desert, this region remains hot throughout the year. So, the best time to visit the Chittorgarh Fort and all the attractions inside is between November and February. If you are a fan of Rajputana architecture, you must visit the Bundi Palace in Rajasthan. 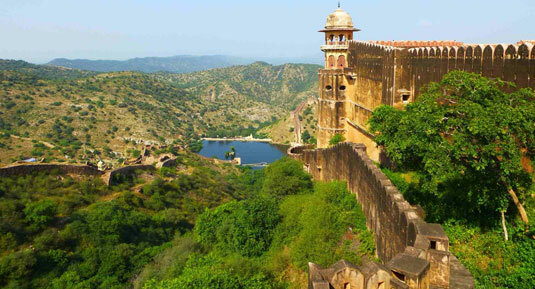 Blessed with matchless natural beauty, Bundi is a popular tourist destination in this royal state. Bundi Palace is the major attraction of this destination that draws travelers with its unique combination of historical significance and natural charm. It is the right place to witness the outstanding craftsmanship of the people of Rajasthan. One of the great advantages of including this tourist spot in your travel itinerary is that you can experience all types of traveling experience here. Apart from the grand palace, Bundi is also famous for its stepwell or baoris. Bundi Palace is located near the charming Taragarh Fort in the 1000-year old city of Bundi almost 36 kilometers away from Kota. The beauty of this destination lies in its scenic location. Flanked by the majestic Aravalli Mountain Ranges, Bundi is surrounded by orchids of different fruit trees like mango, guava, pomegranate and orange. Like the houses in Jodhpur, the architecture of this destination possesses a remarkable bluish shade designed particularly to keep the houses cool during the hot summer months. Visit this offbeat tourist destination in Rajasthan to explore its ancient architecture and stunning natural beauty. October and November are the best months to enjoy a vacation in Bundi because of the pleasant climate. The royal state of Rajasthan is a treasure of culture, heritage, and history. Even though the royal rulers of this state have been long gone, travelers to this destination can still feel their legacy through its magnificent palaces and majestic forts. These ruling dynasties built breathtaking forts which are examples of their military strategy, historical value and grand beauty. Kuchaman Fort is one such majestic fort in the northeast part of Rajasthan located in the Nagaur district. It is one of the internationally renowned historical monuments in this state. Thakur Zalim Singh, a Rathore ruler built this fort in the 9th century. This 1100 years old fort comprises several historical relics including the eye-catching Shekhawati havelis. The splendid Kuchaman Fort perched on a high cliff and occupies a large area. The Kuchaman Fort is very attractive and its outer walls are decorated with carvings of murals and miniature paintings. Visitors will be enthralled to see the inner walls of this fort which are carved with the original inlay works of gold, precious stones and glass. You can see the portraits of Rathore rulers on the ceiling of the main hall of it. The wonderful frescos and painted walls and pillars with motifs of gold artwork also make the Kuchaman Fort a delight to the eyes of visitors. India is an ethnically and religiously diverse country in the world. Religion plays an important role in the life of people in India including Rajasthan. This royal state is unique in many ways that can be seen in its culture and traditions. The Karni Mata Rat Temple in Bikaner is a unique temple in Rajasthan ideal to experience the diversity of this state. The uniqueness of this temple is that it houses thousands of rats and people worship them. They believe that these rats of the temple are their ancestors. The locals also believe that this temple has healing powers and they visit it to heal their ailments. An interesting fact of the Karni Mata Temple is that the rats in this temple never leave the place even after they are free to do so. The worshippers of these rats also believe that it is lucky to spot a white rat in the temple. It shall be an unforgettable experience for travelers to visit the Karni Mata Temple in Rajasthan and feed rats. This temple is located almost 30 kilometers away from Bikaner. One can easily reach there from Bikaner by taking public buses. The rich history of Chittorgarh Fort makes it a must-visit heritage site to visit in Rajasthan. People who visit this fort include the grand Padmini Palace also in their travel itinerary. It is a 19th century 3-storeyed white architectural splendor located in the southern part of the fort. 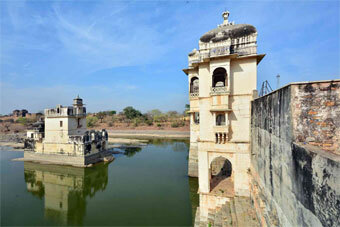 This beautiful palace of Rani Padmini, the wife of the Maharana Rattan Singh, was located in the middle of water bodies. It is believed that Alauddin Khilji was permitted to see the mirror image of Rani Padmini at this palace. He was allured by the beauty of the queen and desired to win her and that ultimately lead to the destruction of Chittor. Just like other palaces in Rajasthan, Padmini Palace also has a captivating architecture with panoramic surroundings. The charming Padmini Palace is the midst of a water source which is well maintained. You can see a beautiful garden once you enter the main gate of this palace with plenty of roses. The complete area of Padmini Palace tells so many stories of the regal era. It holds an important place in the history of India and people who visit Rajasthan do not leave the destination without visiting it. Vijay Stambh is another great monument to visit during your holidays in Rajasthan. 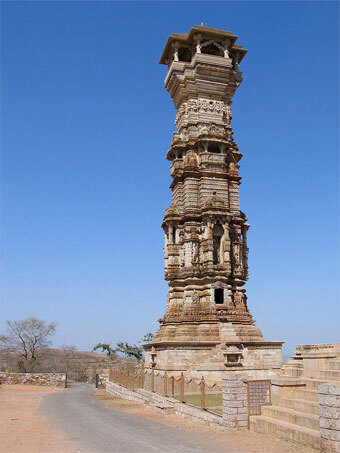 Also known as the Tower of Victory, this popular tourist attraction in Rajasthan locates in the Chittorgarh Fort fascinates travelers with its unique architecture. This tower dedicated to Lord Vishnu is 37.19 m high and has a base width of 9 meters. It was built on a 14m square platform using white marble and red sandstone. Both the exterior and interiors of this tower were carved beautifully with the names and characters of several Hindu deities. It is a marvelous structure to see as it is inscribed with images of various gods and goddesses of Hindu mythology, seasons and musical instruments. The Vijay Stambh is a nine-storied tower and each storey is made attractive with balconies and openings. There are 157 narrow and circular steps to reach the terrace of this tower which is an important part of this architecture. One can watch the fantastic view of the city from the top of the Vijay Stambh. There are several enchanting temples to visit surrounding this tower including the beautifully decorated Samiddhesvara Temple. It houses the unique three-headed image of Trimurti. Visit this tower to make your Rajasthan trip an unforgettable experience. Rajasthan is one of the most charming states in India which is diverse in terms of magnificent palaces and forts. A traveler can get an idea about the rich culture, traditions, history, music and dance by visiting the charming monuments of this state. There are plenty of nationally protected heritage sites in Rajasthan and most of them reflect the wealthy culture and rich history of the city. 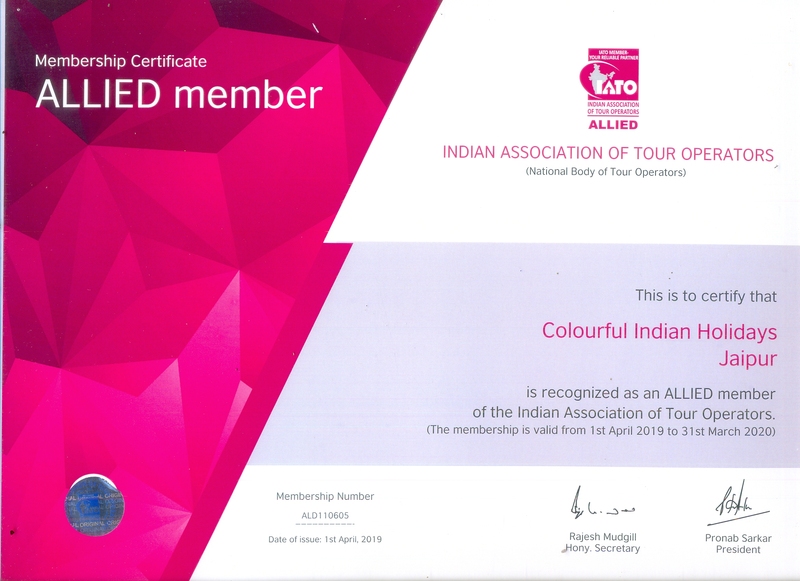 So, it is an ideal destination for all the history buffs as they can satisfy their desire to travel in India and go back with lasting memories. Colourful Indian Holidays presents India in a way like never before. 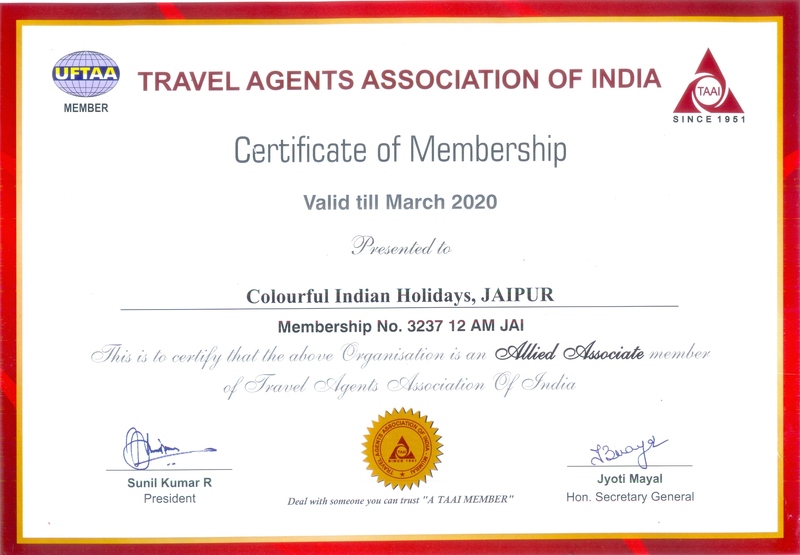 Our aim is to offer unlimited possibilities to explore India and its charms. We strive to provide only the best of travel services for our guests from all over the world. We offer tailor-made experiences of India so that our guests return only with fond memories. Thanks for sharing these all wonderful monuments and experience of Rajasthan. I glad to read your article about historcial Rajasthan monuments such an amazing post to read.